“Watch Out! RTE “News”? 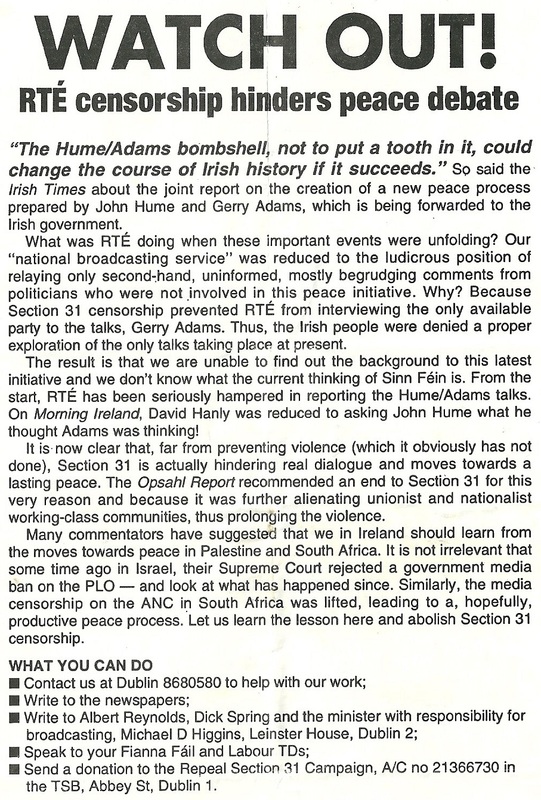 Censorship breeds ignorance” leaflet from the Repeal Section 31 Campaign. The leaflet is from 1993 . 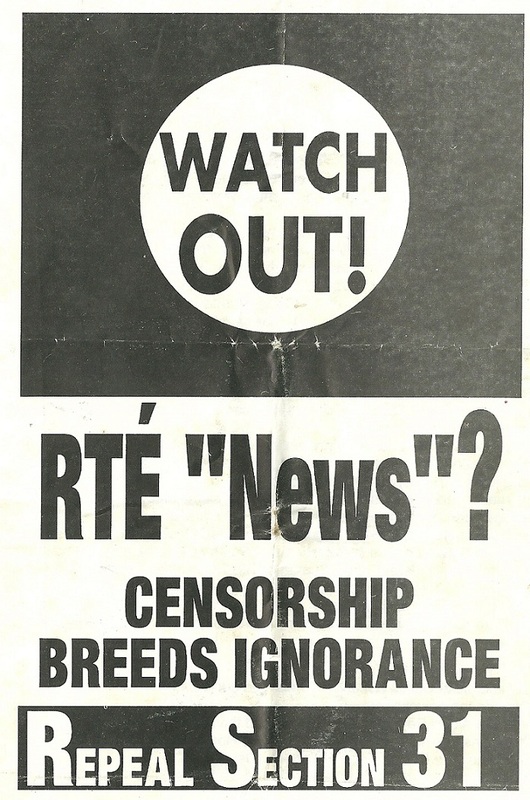 In January 1994 Section 31 of the broadcasting act was not renewed by the then Minister Michael D. Higgins..